In a moving example of unconditional love in dif­ficult times, Gregory Boyle, the Jesuit priest and New York Times bestselling author of Tattoos on the Heart, shares what working with gang members in Los Angeles has taught him about faith, compassion, and the enduring power of kinship. In a nation deeply divided and plagued by poverty and violence, Barking to the Choir offers a snapshot into the challenges and joys of life on the margins. Sergio, arrested at age nine, in a gang by age twelve, and serving time shortly thereafter, now works with the substance-abuse team at Homeboy to help others find sobriety. Jamal, abandoned by his family when he tried to attend school at age seven, gradually finds forgive­ness for his schizophrenic mother. New father Cuco, who never knew his own dad, thinks of a daily adventure on which to take his four-year-old son. These former gang members uplift the soul and reveal how bright life can be when filled with unconditional love and kindness. This book is guaranteed to shake up our ideas about God and about people with a glimpse at a world defined by more compassion and fewer barriers. 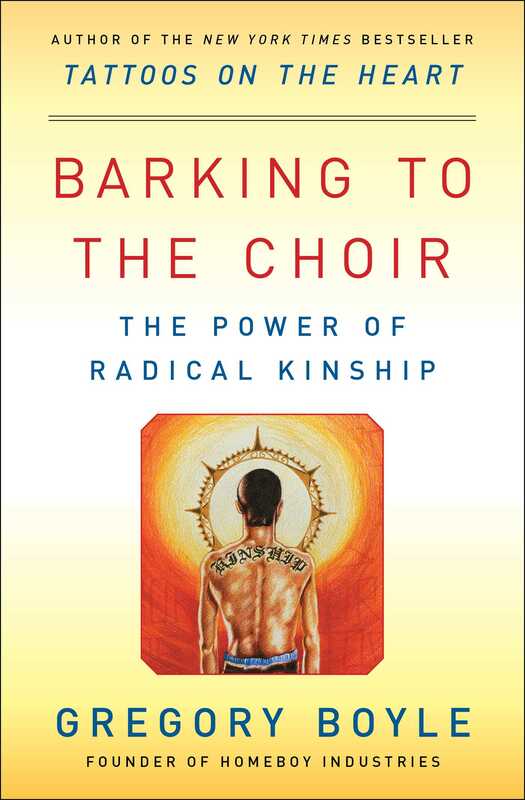 Gently and humorously, Barking to the Choir invites us to find kinship with one another and re-convinces us all of our own goodness. Gregory Boyle is the founder of Homeboy Industries in Los Angeles, CA. Now in its 30th year, Homeboy traces its roots to when Boyle, a Jesuit priest with advanced degrees in English and theology, served as pastor of Dolores Mission Church, then the poorest Catholic parish in Los Angeles, which also had the highest concentration of gang activity in the city. Homeboy has become the largest gang-intervention, rehabilitation, and reentry program in the world, and employs and trains gang members and felons in a range of social enterprises, as well as provides critical services to thousands of men and women each year who walk through its doors seeking a better life. 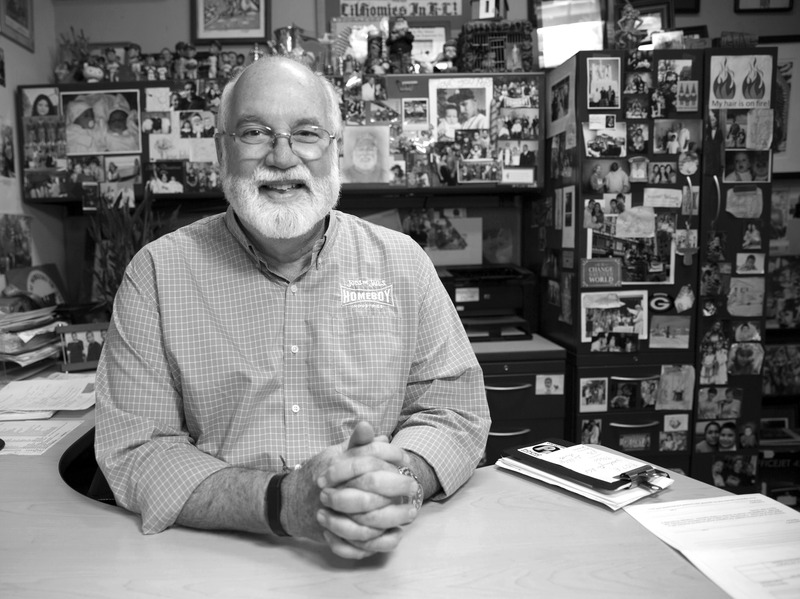 Father Boyle has received the California Peace Prize, the James Beard Foundation Humanitarian of the Year Award, and the University of Notre Dame’s Laetare Medal. He was inducted into the California Hall of Fame and named a 2014 Champion of Change by the White House. He is also the author of the New York Times bestseller Tattoos on the Heart: The Power of Boundless Compassion.